The first teaser for Marvel’s mind bending magical journey into realms unknown, Doctor Strange, has finally arrived and it looks bonkers! 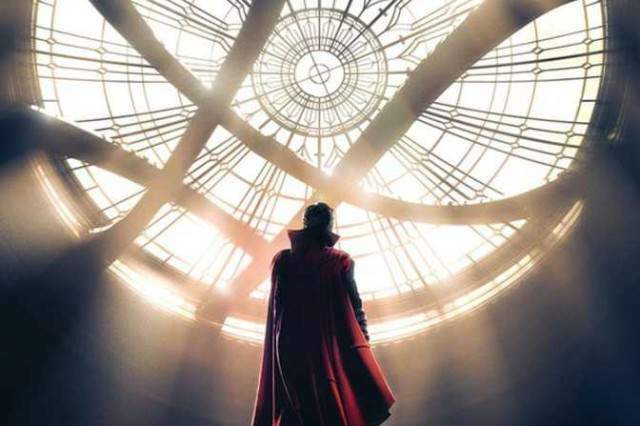 Doctor Strange will tell the story of Stephen Strange, played by Benedict Cumberbatch doing his best (dodgiest) American accent, a world famous surgeon who finds his life ruined when an accident destroys his hands. Forced to accept that nothing can be done for him medically, he seeks a more magical solution and soon finds himself being taught sorcery by the Ancient One (Tilda Swinton) and embroiled in a mystical battle he had no idea existed. The film looks great, and really weird, using the magical nature of Doctor Strange to show us incredible things we’ve not seen in a Marvel movie before; we see cities folding up on themselves Dark City style, temples splitting into fractals and out of body experiences. Interestingly the trailer lacks the usual glib one liners that people (rightly) criticise Marvel for overly relying on, and seems to be a much more serious film than perhaps people were expecting. It opens with what seems to be a moody flash back to the accident that cost the good doctor his hands which led him on his quest for a cure, and inadvertently began his training as the next Sorcerer Supreme. While the brief clip doesn’t give us any cues as to who the big bad’s going to be, we do see Strange’s comic book nemesis Baron Mordo (Kevin Michael Richardson) moodily stalking the streets of New York. Doctor Strange will working his magic in UK cinemas on October 28 before eventually making his way to the U.S. on November 4.